With the Canon EOS-R camera, underwater image makers are not only seeing a full-frame mirrorless camera that incorporates Canon's dual-pixel autofocus and ability to use the EF-S lineup with an adapter, but they are also getting the new RF mount that facilitates new lenses with breakthrough features. The EOS-R features a 30.3 MP Full Frame CMOS sensor using the new RF lens mount and a 3.7M dot electronic viewfinder. The Canon EOS-R is not only noteworthy for being Canon's first full-frame mirrorless camera but also in the number of additional features that are now available with the introduction of the RF lens mount. The RF lens mount features the same large 54mm diameter but the ability to have larger rear lens elements that are closer to the sensor gives increased corner and outer edge sharpness. The lenses can also be more compact than equivalent coverage area EF-mount lenses. The addition of 4 more lens communication pins, taking the total to 12 pins allows for expanded lens functionality. RF lenses will feature a customizable control ring which will also be available on one of the two EF-mount lens adapters, that can be assigned to control various exposure settings. With RF lenses, manual focus will now be controlled electronically which allows for changing the direction of rotation of the manual focus ring of the lens. The EOS-R is also capable of using the large EF-mount lens lineup via three optional adapters, a simple EF to R adapter, one which supports the customizable control ring and another that features a drop-in filter mount. Features that have made Canon DSLR and Cinema cameras a favorite of underwater image makers are also present in the EOS-R including the powerful and accurate Dual Pixel Autofocus and 4K Canon Log video recording from the large 30.2MP CMOS full-frame sensor. The NA-EOS-R underwater housing embodies Nauticam's drive for innovation. Both the Canon EOS-R and the Nikon Z-7/6 cameras present shooters with the ability to use both the available legacy lenses via an adapter in addition to their native optics. For many, the EOS-R is a move from a full-frame Canon DSLR. To support both the legacy and native lenses, Nauticam has integrated the NA-EOS-R into the N120 port system. Canon's EF to RF mount adapters can be affixed to the camera before insertion into the housing. When using the EOS-R inside the housing with the adapter and a supported EF lens, the port and extension ring arrangement will be identical to the same setup on a Nauticam Canon N120 DSLR. As the RF lens lineup emerges, dedicated port and extension ring combinations will be listed on the Port Chart. Two lens release buttons, one for RF and one for EF lenses used with the optional Canon adapter, are located on the front of the housing to make lens removal through the port opening simple. Nauticam engineers are obsessed with getting the underwater image maker unfettered access to all the necessary controls, with as many within easy reach of the ergonomic rubberized handles. This Mission Control philosophy extends to the NA-EOS-R where a dual thumb lever and dual sub-lever are placed by the right handle. The upper thumb lever activates the "AF-On" and the lower the "Info" buttons while the sub-lever corresponds to the "M-Fn" and "Record" buttons. Near the left handle is a thumb lever for "Playback" as well as a dedicated switch to change from using LCD to the EVF. 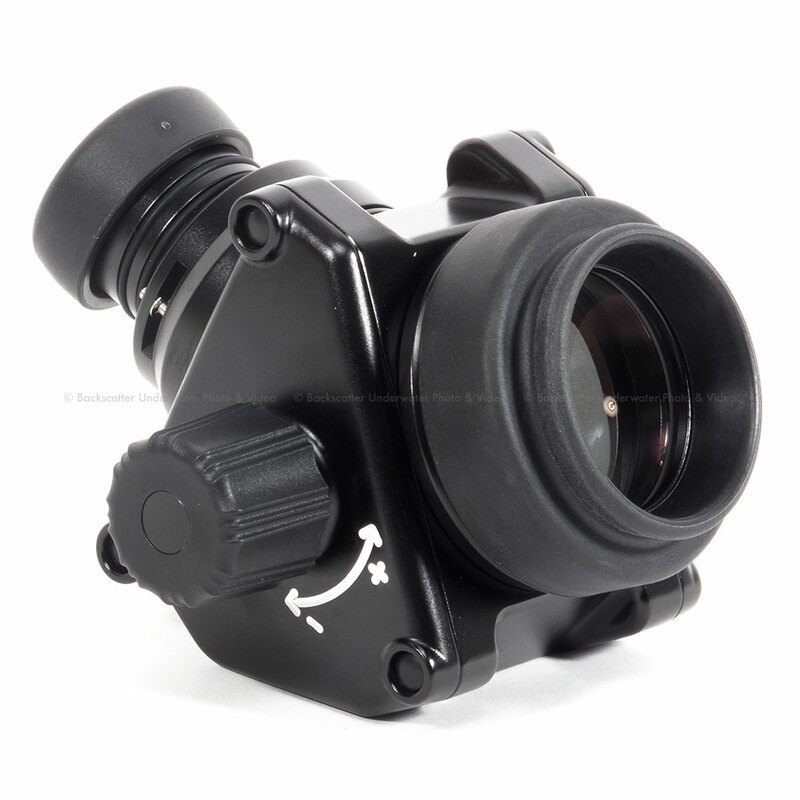 Large knurled and rubberized control dials access the camera's "main" and "sub" command dials. The two-stage trigger allows for smooth focus and firing activation. Additional buttons for "Menu", "Focus Point Selection" and others are also easily reached from the handles. An additional control wheel is located on the left side of the housing and will interface with the control ring on the supported EF to EOS-R Mount Adapter with Control Ring using the optional gear (PN 19561). Flash triggering is achieved via one of two optional Flash Triggers, a manual LED trigger (PN 263091) or a TTL Flash Trigger (PN 26321) that use the built-in fiber optic bulkheads with optional fiber-optic cables to trigger supported strobes. For controlling strobes that do not support fiber optic flash triggering, a variety of legacy hot-shoe flash control bulkheads are available. The EOS-R is capable of outputting a 10 bit 4K UHD (3840 x 2160) 30p video signal over HDMI. When combined with the optional Standard M16 HDMI Bulkhead (PN 25033) and HDMI (D-C) 190mm cable (PN 25036) the NA-R can be used in conjunction with an external monitor or recorder such as the SmallHD 502B or Ninja Inferno in their respective Nauticam Housings. The NA-EOS-R comes with the electronics as well as the M16 Vacuum Valve II for the vacuum check and leak detection system pre-installed. This simple system allows for checking the watertight integrity of the housing before the dive as well as monitoring continuously throughout the dive. The NA-EOS-R features Nauticam's signature port locking system. Ports can be easily installed and securely locked in place. The NA-EOS-R will support both RF and EF mount lenses through the N120 Port System. Built-in fiber optic bulkheads work in conjunction with one of two optional flash triggers. The optional TTL flash trigger can be turned on and off from outside the housing allowing easy switching between ambient and artificial lighting for the scene. 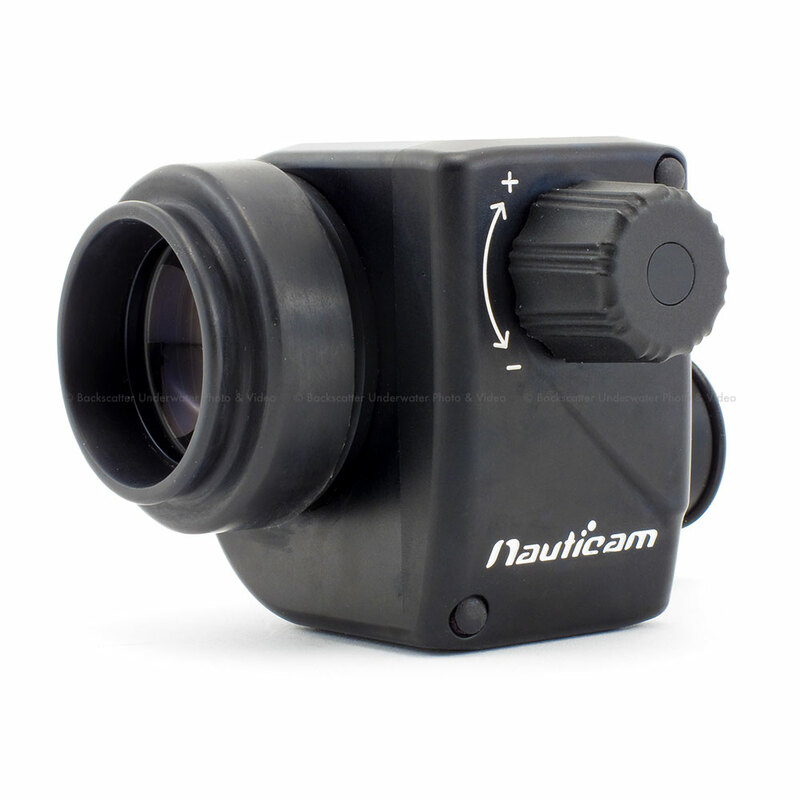 Nauticam engineers are obsessed with providing easy access to essential controls. Thumb and sub levers enable the shooter to reach many important functions without having to move your hand from the handle. The NA-EOS-R is designed around the N120 Port System and when used with supported lenses allows for the use of a variety of Nauticam water contact optics such as the WACP, as well as the SMC-1 and SMC-2 super macro converters.